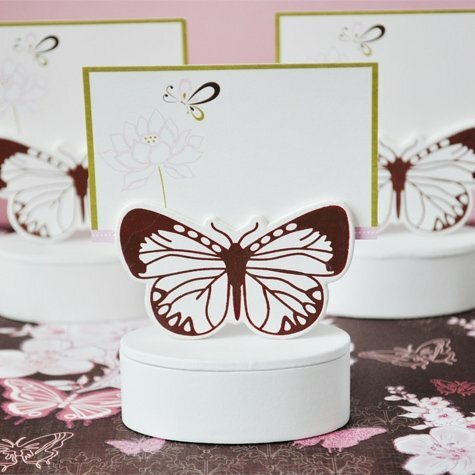 Our Butterfly Place Card Favor Boxes make a lovely addition to your butterfly themed event. 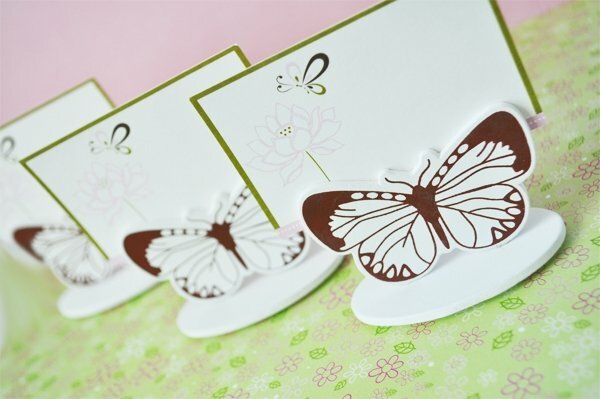 Incorporate the carefree spirit of the butterfly in your wedding, shower, or other spring-time event. The beautiful butterfly cutout holds the included designer place cards while the wooden base serves as a favor box to hold a sweet treat of your choice. Measures 2.5" x 2.5" x 1.5" and comes in sets of 12.